Over the past 4 years, we’ve been blessed to explore parts of the world we never imagined would be possible based on our budget. Points & Miles have taken us all over the globe, including exotic destinations such as the French Polynesian Islands (hello honeymoon in Bora Bora! ), Indonesia, Thailand, an anniversary trip to Dubai & the Maldives in addition to extensive traveling in Europe, Hawaii and the Caribbean. I can safely say without the benefit of points and miles, there is no chance we would have done as much traveling! Here is how we did it for almost free…seriously! Spend some time reading each trip below and see how I leveraged points/miles to make dream trips a reality! Flights: The last time we went to Hawaii we flew Hawaiian economy class but this time we splurged for first class on Hawaiian from JFK-HNL and then first connected on to the Big Island followed by Maui. Retail Cost: $3,000-$4,000 per person for all flights. My Cost: 80,000 Hawaiian miles (from Hawaiian credit cards + Amex points transferred to Hawaiian) + $22 in taxes per person. The intra-Hawaii flights were booked for 3,000 Virgin America miles. Retail Cost: $150-$300 per night for Hilton Waikoloa Village & $500-$700 per night for Andaz Maui (depending on season). My Cost: The Hilton Waikoloa Village was booked on a special Black Friday Hilton sale for only $150/night. The Andaz Maui was 12,500 Hyatt Points (converted Chase Ultimate Rewards points) + $150/night co-pay (for a suite as I used a Diamond Suite Upgrade). 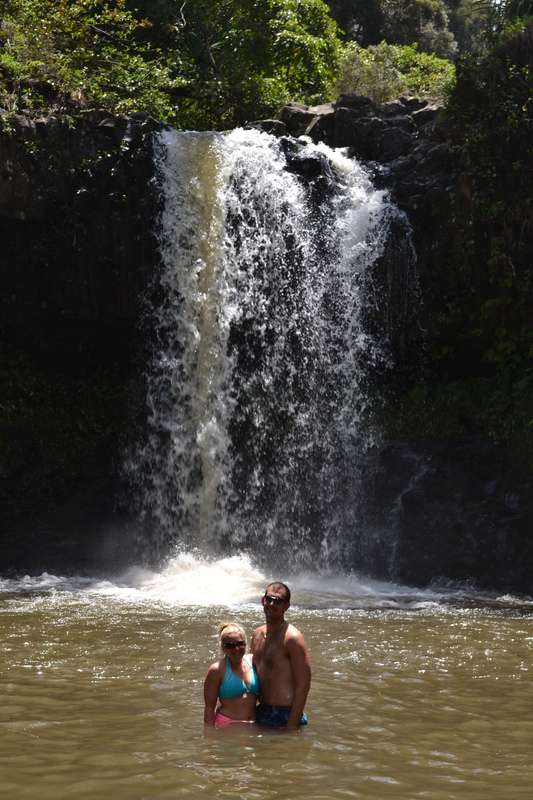 My Take: I love Hawaii and was happy to explore the Big Island for the first time as well as return to Maui, which is our favorite Hawaiian Island. Hawaiian First class is not that amazing with pretty poor seats for first class but in 2017, their first class on the A330’s will be lie flat so I would love to try those. Once again the Andaz Maui was amazing but it is now almost impossible to use a DSU and even points in general. That plus rising costs (new resort fee + valet parking fee) will probably make me consider a different resort in Maui next time. 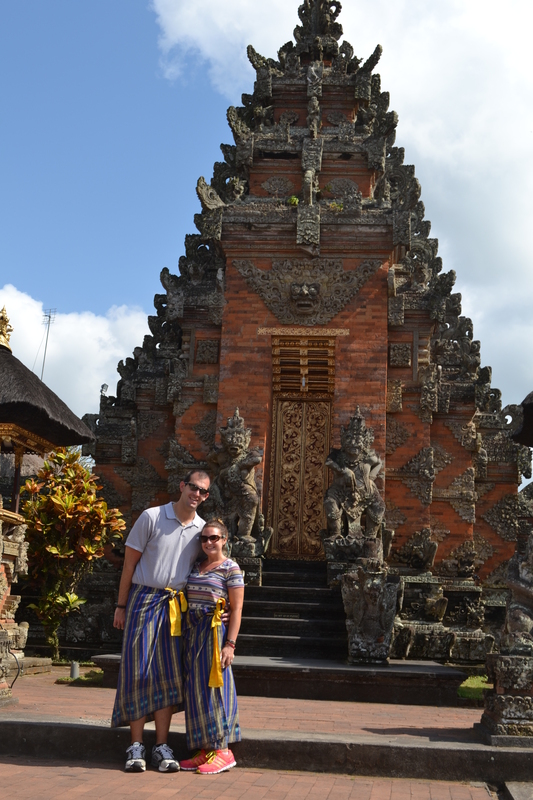 September 2014: One Year Anniversary Trip to Bali & Phuket! Flights: To Bali, we flew FIRST class JFK-ICN-DPS flights on Asiana Airlines (Business class on ICN-DPS leg). To Phuket, we flew Business class DPS-BKK-HKT. To get home, we flew HKT-BKK-ICN-JFK in Business class on Thai Airways and FIRST class on Asiana (ICN-JFK portion). Retail Cost: $15,000-$17,000 per person for all flights. That is insane! 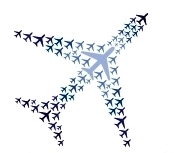 My Cost: 140,000 United miles (from United & Chase Sapphire Preferred credit cards) + $62 in taxes per person. Lodging: Conrad Bali (5 nights) + Le Meridien Phuket Beach Resort (3 nights). Retail Cost: $150-$500 per night (depending on season). My Cost: Hilton Free Weekend night from Citi Hilton Reserve Card (1 night) + 10 Year Anniversary Package at Conrad Bali ($185/night). For the Le Meridien Phuket Beach Resort, I paid $155/night. This is one example of where I didn’t use points since room rates were so cheap. For the Conrad Bali, I booked the anniversary package which included airport transfers, a 60 minute couples massage, guaranteed room upgrade, 15% off all dining and an extra 10,000 Hilton HHonors points. A free night would have cost 50,000 Hilton HHonors points at the Conrad Bali and 10,000 Starwood SPG points at the Le Meridien Phuket Beach Resort so as I will explain in an upcoming trip report, it did not make sense to redeem points since the cash rates were so low. My Take: All I can say is WOW! This was an amazing trip and flying Asiana First Class in a private suite with a flat bed and comforter along with a 32 inch TV was unlike anything else I’ve ever flown. This trip was actually a surprise for my wife which I detailed here and here. In terms of our actual destinations, Bali is so beautiful and authentic. We left the touristy area of Nusa Dua and loved the backside of the country and even got to help local farmers harvest rice – our whole time in Bali was such a moving experience. Phuket on the other hand was much more a beach destination to us and still was very beautiful. It didn’t quite have the charm of Bali but was still a place I’d love to return and spend more time. I plan to write a lot more about this trip in an upcoming trip report, including reviews of our hotels which were both fantastic that I would highly recommend. 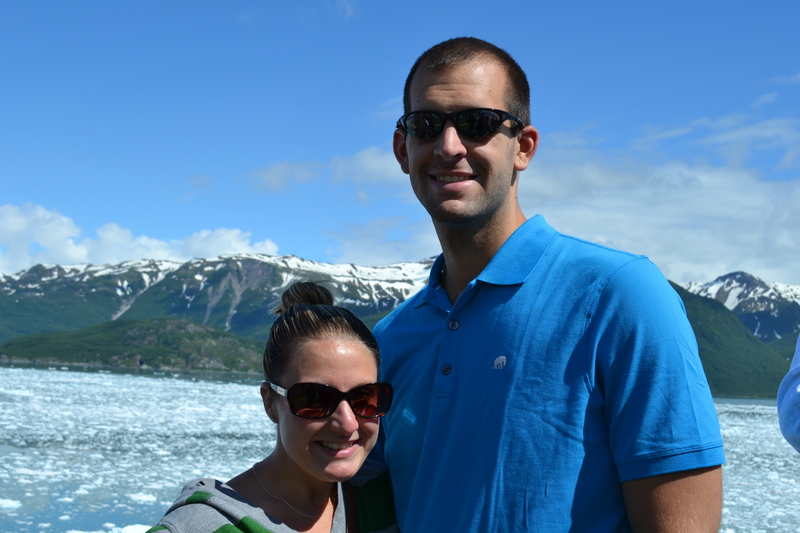 June 2014: 7 Night Alaskan Cruise from Seward to Vancouver on Celebrity Cruise Line! Flights: First class, EWR-ORD-ANC flights on United Airlines. For the return business class, YVR-JFK on Cathay Pacific. Retail Cost: $2,000-$3,000 per person. My Cost: For the flight to Alaska, 25,000 United miles (from Chase Sapphire/Chase Freedom credit cards) + $5 in taxes per person. For the flight home from Vancouver, 25,000 British Airways Avios (from American Express Membership Rewards) + $71 in taxes per person. Retail Cost: $300-$400 per night. My Cost: Free anniversary night from Chase IHG Credit Card. My Take: This was our first cruise and getting to experience with it a group of 8 friends made for an amazing experience! After this cruise, I’m convinced there is no better way to see Alaska and the wildlife and natural beauty we saw was simply jawdropping. I’ve argued why I thought it made sense to fly first class to Alaska from the East Coast and our flight home on Cathay was awesome – even though it was a short, 5 hour flight, you can’t beat fully flat business class for that redeye flight. Pre-cruise, the Crowne Plaza was perfectly fine especially when its free :). Flights: Economy class, non-stop JFK-CDG flights on American Airlines. Retail Cost: $1,000-$1,200 per person. My Cost: 36,000 American miles (from AA credit card) + $92 in taxes per person. Retail Cost: $800-$1,000 per night. My Cost: 2 Free nights from Hyatt Credit Card + 22,000 Hyatt Points per night (for last 2 nights). 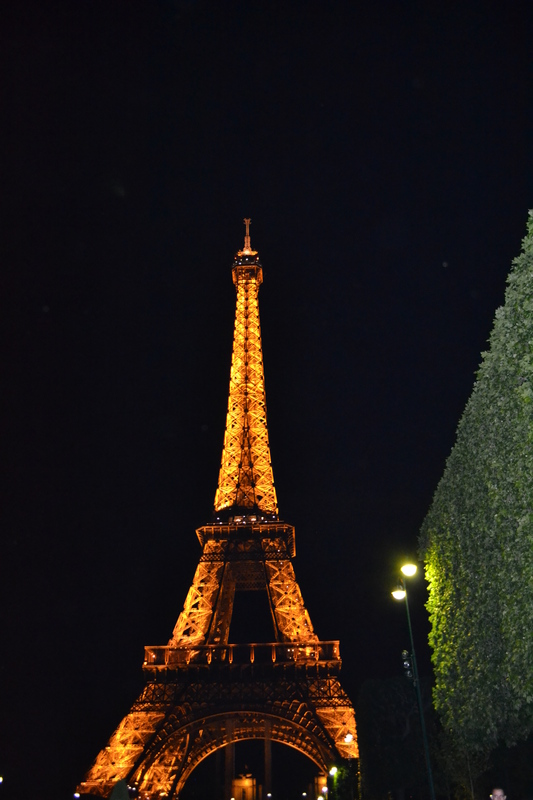 My Take: This was an outstanding redemption – I utilized AA off-peak pricing to Europe (only 40k miles round-trip instead of 60k) and paid for the taxes with my Citi AAdvantage card to get 10% (or 4,000) of the miles back. The Park Hyatt is universally renowned as one of the best luxury hotels in the world and this is literally the one way I would ever experience it (no chance I’m paying $1k a night for a HOTEL)! Flights: Economy class, JFK-Honolulu, Honolulu-Maui on Hawaiian Airlines. Retail Cost: $900-$1,100 per person. My Cost: 35,000 Hawaiian Airline miles + $10 in taxes per person. Lodging: Grand Wailea Waldorf Astoria (2 nights) + Andaz Maui (6 nights). Retail Cost: Grand Wailea $300-$450 per night. Andaz Maui $500-$600 per night, $200-$300 more for a suite. My Cost: Grand Wailea – (from 2 Free nights on Citi Hilton Reserve Credit Card). 12,500 Hyatt Points (converted Chase Ultimate Rewards points) + $150/night co-pay (for a suite). My Take: For our 2nd honeymoon, I took advantage of the signup bonus from the Hawaiian Airlines credit card and booked their relatively new JFK to Honolulu flight with the short flight to Maui to follow. For the hotels, I burned my two free nights at the Grand Wailea to get the huge resort feel then followed by the brand new Andaz Maui (opened Dec 2013). Instead of using all points for the Andaz Maui, I opted to use half the amount of points normally required to pay a $150 co-pay so I could apply a suite upgrade to the room (which I received from opening the Hyatt Credit Card). 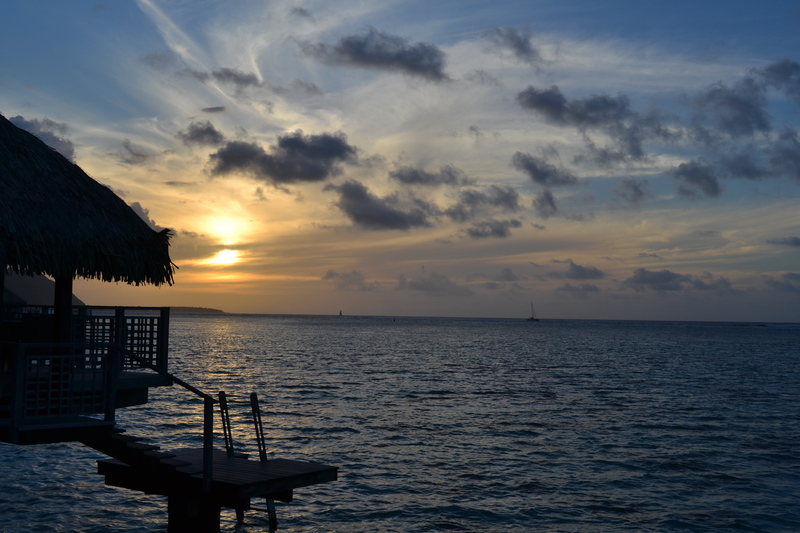 Flights: Business class, JFK-LA-Tahiti-Moorea-Bora Bora on American Airlines & Air Tahiti Nui (same flights on return). Retail Cost: $7,000-$8,000 per person (closer to $2,000 if we wanted to fly economy). My Cost: 125,000 American Airline miles (from 2x AA credit cards) + $92.50 in taxes per person. Separate flights from Moorea to Bora Bora and Bora Bora to Tahiti cost $400 total per person (unavoidable as it is the only way to get to Bora Bora). Lodging: Hilton Moorea (4 nights) + Hilton Bora Bora (4 nights) + Holiday Inn Hollywood (2 nights). Retail Cost: Hilton Moorea $400-$600 per night. Hilton Bora Bora $700-$900 per night. Holiday Inn Hollywood $100-$150 per night. My Cost: Hilton Moorea 36,250 HHonors points per night (from Hilton credit cards and some stays at Hilton). Hilton Bora Bora 36,250 HHonors points per night. Holiday Inn Hollywood $134 per night. My Take: This was easily a $20,000 honeymoon that I paid under $1,000 for! For our honeymoon, I always wanted to go to Bora Bora and see that amazingly blue water. You can use AA miles to fly Air Tahiti Nui to Tahiti but if you want to fly business class, this is one of the hardest awards to secure as they only release two seats per flight. Nonetheless, I figured out the release pattern and snagged both seats 11 months in advance. Flights: Economy class, JFK-Nassau on JetBlue. Retail Cost: $300-$500 per person. My Cost: 16,400 JetBlue miles (converted American Express Membership Rewards points to TrueBlue points) + $80.50 in taxes per person. Lodging: Comfort Suites Paradise Island (4 nights). Retail Cost: $175-$300 per night. My Cost: 25,000 Choice Privilege Points per night (purchased via Amex Daily Gateways). Total cash outlay was $298.80. 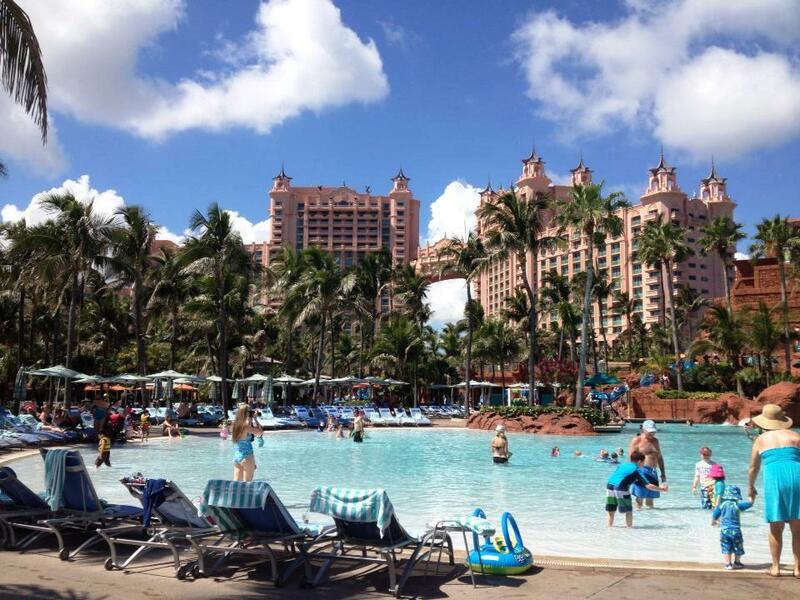 My Take: We wanted to experience Atlantis but the room rates are crazy there! Instead, we stayed literally across the street from Atlantis at Comfort Suites, which includes free access to all of Atlantis. This is a great way to get all the Atlantis benefits but without the crazy Atlantis prices. This awards highlights the sometimes usefulness of buying points as I bought 80,000 Choice points for $298.80 during the Daily Amex Gateway sale. Enjoying the fun of Atlantis for free! Flights: Economy class, JFK-Frankfurt-Lisbon (stopover for 2 nights) – Madrid (destination) on Lufthansa and TAP Portugal. Barcelona-Geneva-JFK return on Swiss Air. Retail Cost: $1,200-$1,500 per person. My Cost: 60,000 United miles (United credit card) + $131 in taxes per person. We took a train from Madrid to Barcelona for $75 each. Lodging: Sheraton Lisboa (2 nights) + Radisson Blu Madrid (2 nights) + Four Points Barcelona Diagonal (3 nights). Retail Cost: Sheraton Lisboa $150-$200 per night. Radisson Blu Madrid $150-$200 per night. Four Points Barcelona Diagonal $100-$130 per night. My Cost: Sheraton Lisboa $52 per night. Radisson Blu Madrid 44,000 Club Carlson points per night (from Club Carlson credit card). Four Points Barcelona Diagonal 4,000 Starwood SPG points per night (bonus promotion from Starwood). My Take: This award highlights the flexibility of United miles as they have a ton of European partners with good availability. I booked economy since it’s a short red eye and not worth the premium for business class. I got a great deal on the Sheraton Lisboa (see mistake fares below) and I used points for the other hotel stays. We went at the most expensive time of year but literally saved thousands of dollars due to points and miles. Admittedly, there have been a few trips I’ve actually paid for. Generally, these are due to finding mistakes fares so it would have been a poor use of points & miles. I’ll gladly pay a fraction of the retail cost of these trips, earn miles for flying, and save my miles for more lucrative redemptions. Delta had a pricing glitch that only lasted about 12 hours or so but non-stop flights from JFK to Dublin were pricing at $387 round-trip. This was a no-brainer as we really wanted to go to Ireland and we turned this into a long weekend by staying at the Hilton Dublin for 40,000 HHonors points a night. JetBlue had a promotion going on where they emailed True Blue members a one time, unique code for money off a flight. However it was quickly figured out the $50 off code could be used by anyone multiple times and this was posted for all to see online. As a BC alum, I wanted to go up to Boston to catch a football game and with the tickets only $59 each way, I made two separate one way reservations for a total of $9 each! I was in the middle of planning a trip to Europe when The Points Guy highlighted an amazing deal at the Sheraton Lisbon for only 40 euro ($52 USD) per night! We booked two nights here and loved the modern, sophisticated hotel. Unbeatable at $52 per night for a true 4 star hotel. Delta (again) had pricing issues where non-stop flights between JFK and London were pricing at $420 round-trip. This is about half the usual price so on a whim we booked it. We ended up staying at the Hilton London Paddington Hotel on a great rate of about $150 per night. 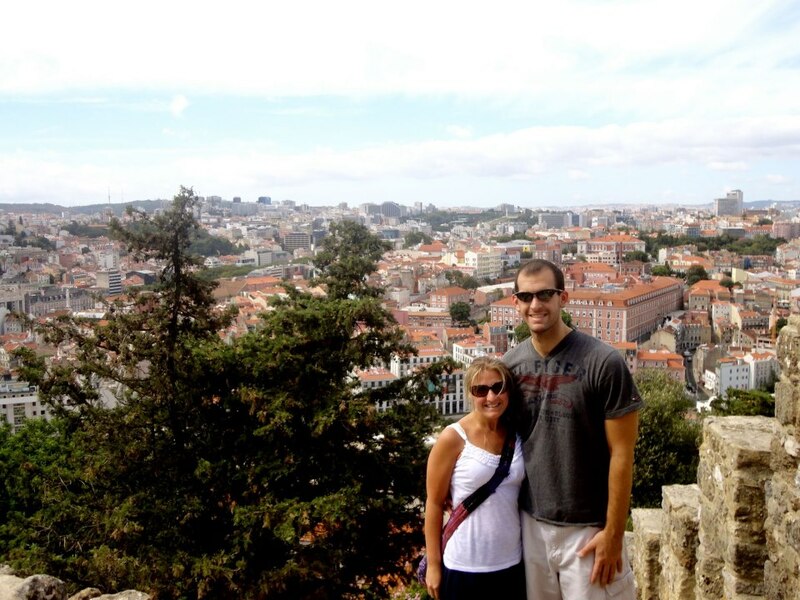 This was Andrea’s first trip to Europe and really provided the foundation and desire for our future travel together. While this a great majority of our trips presented above, it doesn’t encompass all our trips including trips to Puerto Rico (2x), the Dominican Republic (2x), Las Vegas, Vermont, Texas, Chicago, Seattle California, Cancun, Los Cabos and several other cities. If you have any questions about how we did these trips or want to learn more about them please email me at ralph@pointscentric.com.